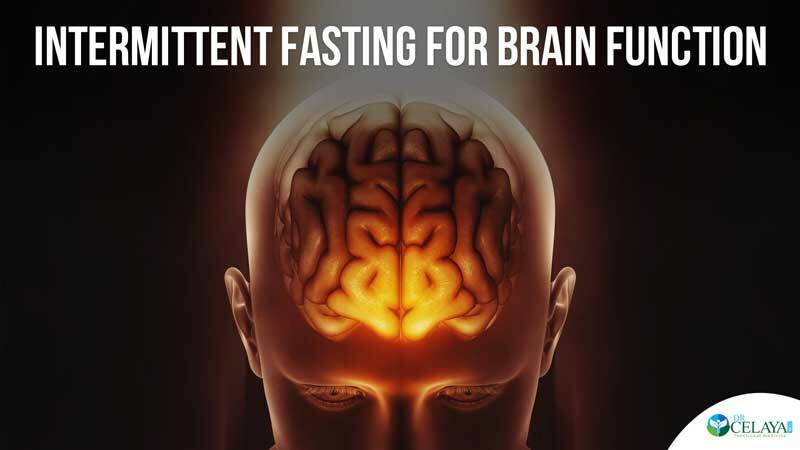 Can Intermittent fasting help your Brain? Have you been hearing the term “Intermittent Fasting” a lot lately? Do you wonder what exactly does this mean, and is it something that could help you with your health? Intermittent Fasting, or IF, is not a fast that you do once or twice a year. It’s mini fasts on a daily or weekly basis. Many people use this successfully for weight loss, to decrease inflammation, as well as to improve brain function and insulin sensitivity. People also fast for increased longevity. 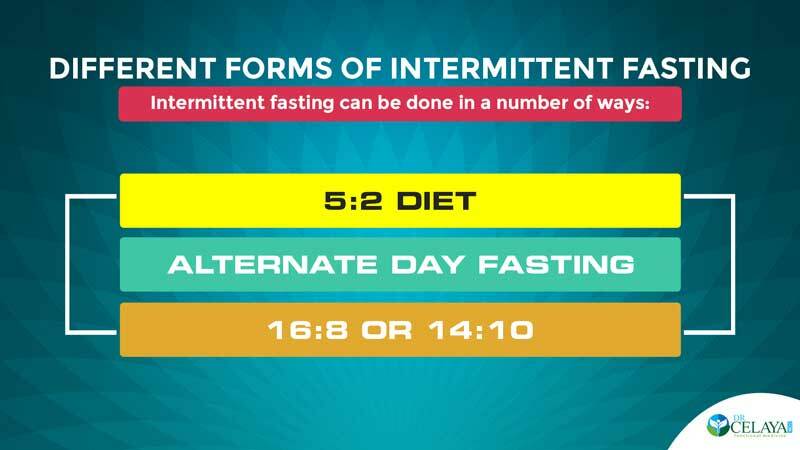 There are different ways to go about intermittent fasting. There is what is called the 5:2 — In this diet, you eat normally for 5 days in the week, then either fast completely, or severely restrict calories the other 2 days. Severe restriction is 500 calories For women and for men, it’s 600 calories. Another way to fast is called Alternate Day Fasting — You eat normally for 24 hours, and then zero, or very low calories (500-600) for the next 24 hours, alternating every other day. These 24-hour periods typically begin at dinnertime so that in any one day you may miss one or two meals, but not all three. We also have what is called the “Eating Window Plan.” Either you eat during an 8-hour window and fast the remaining 16 out of 24 hours. You can think of this as the 16:8 plan. Or you can stretch your eating out into a 10-hour period and fast the remaining 14 hours, called the 14:10 plan. 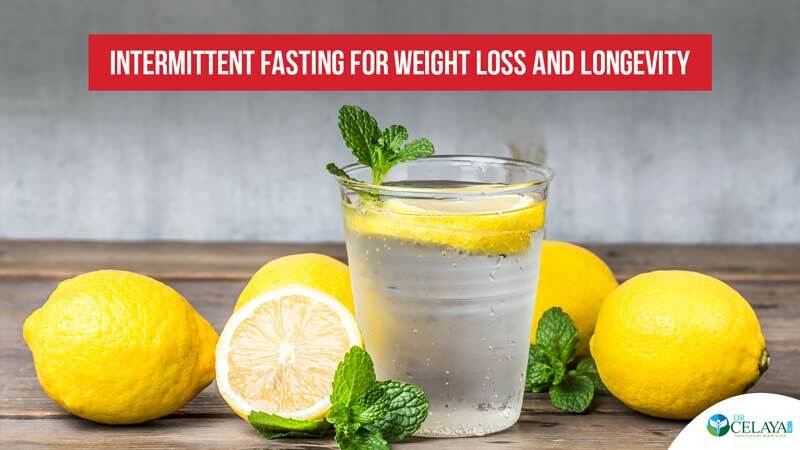 How does Intermittent Fasting work for weight loss? Studies show intermittent fasters have better insulin sensitivity and glucose regulation. This makes a person crave less sugar and use glucose more efficiently for energy production instead of being stored as fat. Because this type of fasting depletes glycogen, the storage form of glucose, your body switches over to burning stored fat for energy. Studies show that Intermittent Fasting can benefit brain function and potentially even stave off Alzheimer’s disease and even depression. This is likely due, first, to glucose and insulin control. Did you know that Alzheimer’s is often called type 3 diabetes? It is also due to the production of ketone bodies for fuel. Ketones give you clean-burning fuel for the brain that leave behind fewer free radicals than glucose does. There are some other amazing benefits to Intermittent Fasting. It has been shown in trials to reduce blood pressure, triglycerides, LDL cholesterol (or the bad cholesterol), and insulin-like growth factor, a hormone that is linked to cancer and diabetes. Intermittent Fasting is not for everyone! Children and teens, pregnant women, people with eating disorders, as well as those with hypoglycemia should not fast. Also, diabetics taking insulin should only attempt this diet under doctor’s supervision. Women often find it works better for them if they start by trying a 12:12 eating window, and then gradually lengthening the fasting time. Remember, there is no one-size-fits-all plan. You can schedule a free 15-minute consultation to discuss if Intermittent Fasting might be right for you.